The E.P. Schoch Professor of Civil, Architectural and Environmental Engineering at the University of Texas at Austin, Dr. Kara M. Kockelman is a registered professional engineer and holds a PhD, MS, and BS in civil engineering, a Masters of city planning, and a minor in economics from the University of California at Berkeley. She teaches engineering courses in transport data acquisition and analysis, transport economics, probability and statistics, and the design of ground-based transportation systems. She has received an NSF CAREER Award, U.C. Berkeley’s University Medal, MIT’s Technology Review Top 100 Innovators award, the Council of University Transportation Centers’ inaugural Young Faculty Award, the Regional Science Association International’s Hewings Award, ASCE’s Harland Bartholomew Award and Huber Research Prize, and the Women in Transportation Studies-Heart of Texas chapter’s Woman of the Year award. Dr. Kockelman’s primary research interests include the statistical modeling of urban systems (including models of travel behavior, trade, and location choice), energy and climate issues (vis-à-vis transport and land use decisions), the economic impacts of transport policy, and crash occurrence and consequences. She is primary and co-author of over 115 archival articles across a variety of subjects, all of which involve transportation-related data analysis. 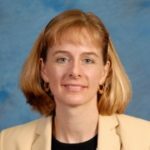 She has conducted research for the National Science Foundation, the U.S. Environmental Protection Agency, the National Cooperative and Strategic Highway Research Programs, the University Transportation Centers program, the North Central Texas Council of Governments, and the Texas and Oregon Departments of Transportation. To learn more about Dr. Kockelman’s work, please visit http://www.caee.utexas.edu/prof/kockelman/.